I don’t cry a lot. Actually, I never cry. Ok, not true, I cried at the end of Titanic. And maybe I cried a little during Wicked Tuna. But typically, I just don’t cry a lot. But something about Bikers riding for our fallen soldiers that just brings out the tears in me. 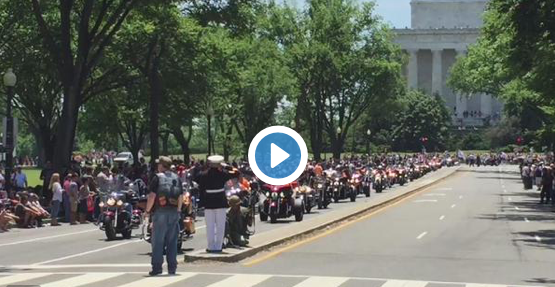 Yesterday in Washington D.C., Rolling Thunder bikers honored our fallen soldiers and veterans with this incredible motorcycle rally! Can’t say enough about how amazing it is to see people come together for such a meaningful day. Memorial Day often gets lost in the “3 day weekend” billing, so when a big group of bikers get together and serve as this kind of a reminder, it can only serves us well.